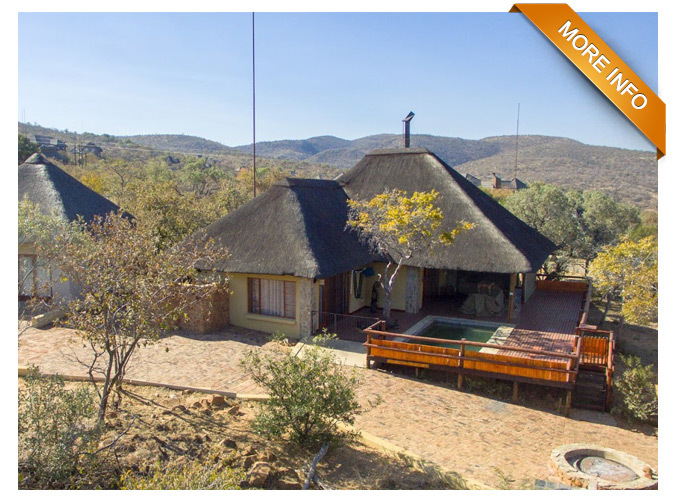 This magnificent game reserve offers more than 12 500 ha of Bushveld and is situated within a comfortable 2 hours' drive from Johannesburg. The reserve hosts the Big Five of which four of the five roams free. The properties are carefully located in private areas away from the main resort and facilities. An airstrip is also available for guests and owners who wish to fly in.Don't let this incredible offer slip through your fingers, a must see! 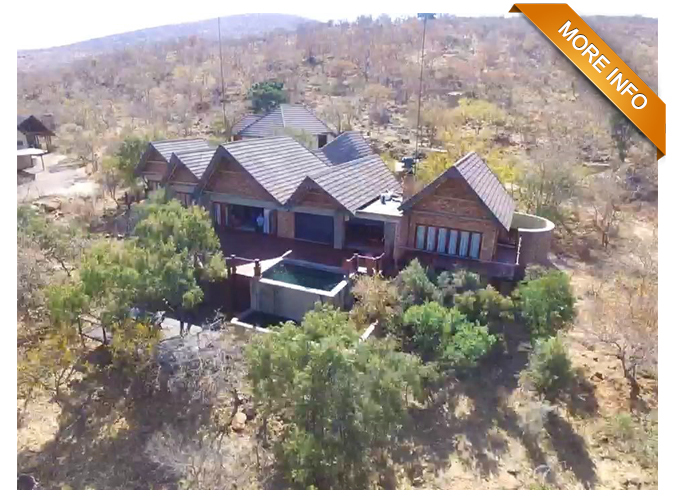 Enjoying a coveted Mabalingwe view, this well maintained home offers so much more than initially meets the eye. 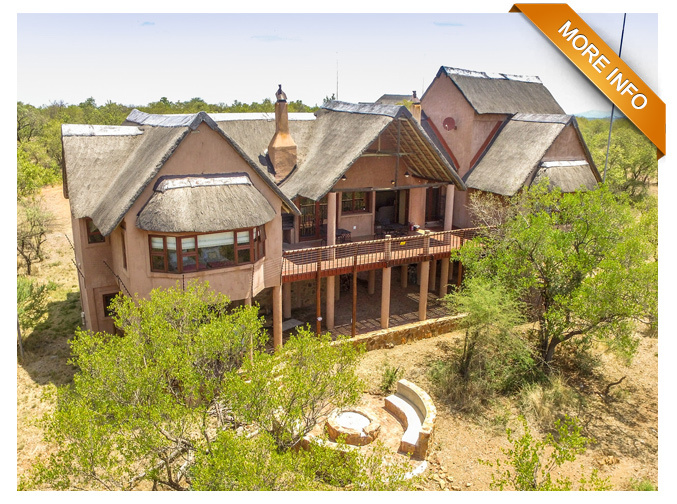 Set in a quiet cup-de-sac within the desirable Mabalingwe Nature reserve, the property has unobstructive views across the Bushveld towards the Waterberg mountains. 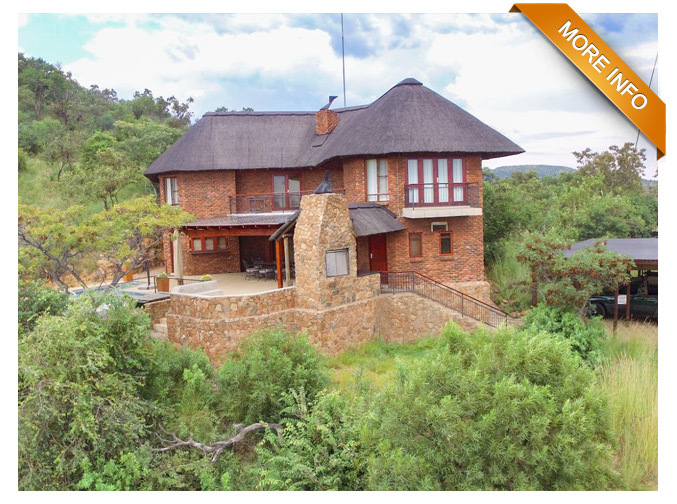 Ideal for a young family or a couple thinking about retiring, the house itself offers two large ensuite bedrooms, all with Bushveld views and a loft that can be used as a study or a third bedroom. Your choice of living areas include a open plan family living/lounge room, including a Jetmaster fireplace, which flows into a newly revamped kitchen with ample cupboards, dishwasher and walk-in pantry. 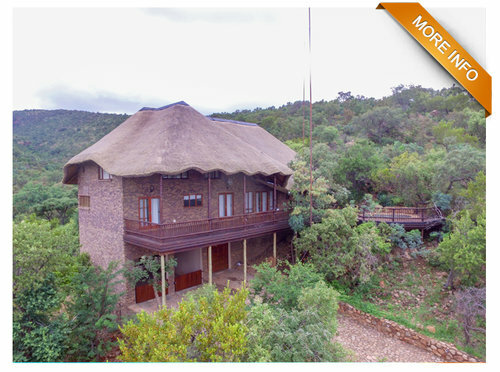 You also have a large covered double deck with built in braai overlooking the stunning Mabalingwe views. PTY100 | Seeing is believing! Spacious open-plan living and dining area leading onto covered Braai and entertainment area on deck. 3 Bedrooms, 3 Bathrooms, large open-plan kitchen with separate laundry and pantry. Large dining- and living room. Loft with office, bedroom and bathroom. Lovely covered deck with swimming pool. Garage, storeroom and 2 carports.